CAN YOU NAME THIS TUNE?????????????? This week, the Stampotique Challenge #160, is Music as Inspiration. I had a blast with this challenge, thanks so much Kathy Rerek. It all came together very easy! The only problem is that I can't stop singing the song!! How many of you out there remember this HIT song? Sung by Patti Page, it was #1 for 8 weeks in April of 1953. The song, HOW MUCH IS THAT DOGGIE IN THE WINDOW!!!!!!!!!!! Yep. I saw just the thumbnail and knew that it was "How much is that doggie in the window?" though I didn't know it was by Patti Page! It's an adorable card. Great background and super cute doggies! Thanks for playing along with my challenge this week at Stampotique Designers Challenges! How cute! 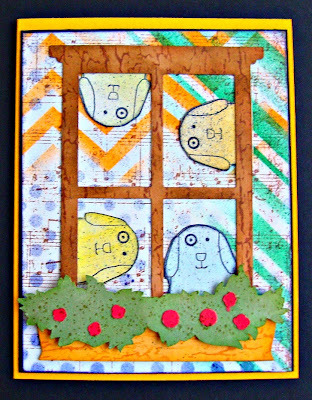 Love the way you used the dogs in the Window and the BG turned out great! Absolutely! "How much...." Love this, Gerrie! Perfect interpretation of the lyrics! Love it! Believe it or not, don't get mad at me, the song is the first one I ever remember hearing on the car radio with my parents!!! P.S. Thanks for participating in the Stampotique Designers' Challenge this week! What a fun ride! Such fun! Love these adorable colourful doggies! absolutely GF want me to sing it for you.....lol....love it a really fun card. Haha looks funny! Gorgeous card Gerrie! Love this Gerrie, great song and I love that dog!! Love your card! So cute!!! 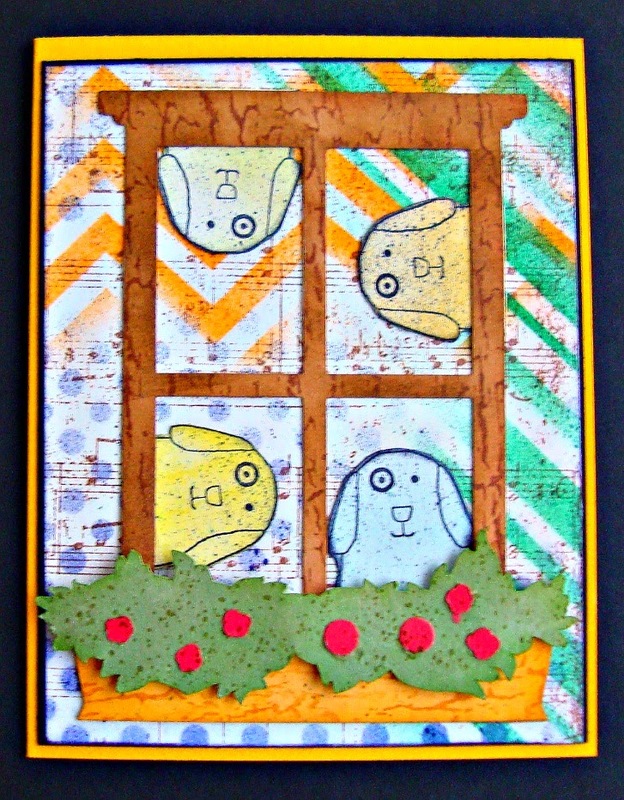 Congrats on being selected as Stampotique Design Team Favorite this week, Gerrie! Well deserved! LOL - this is great! Congrats on being a Top 3 pick over at SDC!